no requests, buy my stuff, really good: https://www.deviantart.com/lpsgirlgirlgirl/prints/ https://www.spreadshirt.com/user/304042882 https://shop.spreadshirt.com/treasure-tvs-workshop https://shop.spreadshirt.com/babymemestore <-- Doesn't actually sell baby memes, used to sell shirts with baby memes on them but they all got removed. Not sold out, since, nobody saw the site, nobody bought it and just when it was about to be seen they were all gone so screw it I re-uploaded some stuff, betterified them and I'm happy with it now. Now that site just sells baby clothes, the removal happened to allthe sites so...I was upset...yeah. 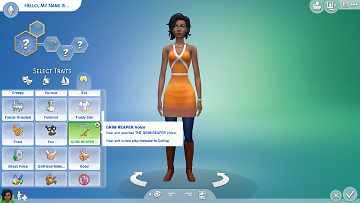 This mod will allow you to give your Sims different voice effects! !